Although fraternal twins born in Canada, Norah-Jean and Susan spent their lives apart. 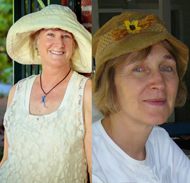 Susan has lived in Canada and on both US coasts and the Midwest. She was an Operating Nurse assisting in hip replacements to heart surgeries. As a traveler, she has experienced over 50 countries (still more to go). But being a Mum was her favorite job. Norah-Jean has spent her working life in Ontario, Canada, as a newspaper reporter, freelance writer and editor, and fiction author. She has published five novels, Outrageous, Blue Dawn, Crazy in Chicago, Alien’s Daughter and Night Secrets. Her inspiration has come from thrills and chills in places as far flung as Timbuktu, West Africa; Sydney, Australia; and down the street from the Shakespeare Festival in Stratford, Ontario. She has a loving husband, and three grown children who keep returning to the “empty nest” despite her best efforts to keep them away. 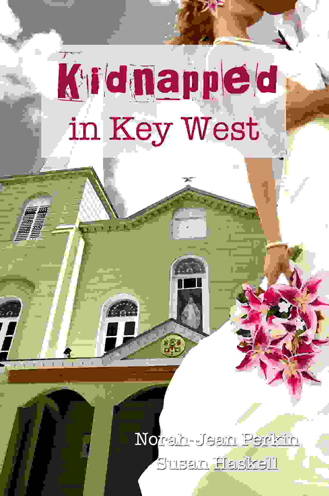 After a disastrous first marriage, Key West fitness club owner Robyn Locke finally dares to trust a man and marries contractor Will Ryder, only to be abducted from her wedding reception and held for ransom. When the ransom money is found in their home, the police arrest Will for her kidnapping and Robyn wavers in her commitment until an unimaginable death jolts her into taking a stand for herself and the man she loves.